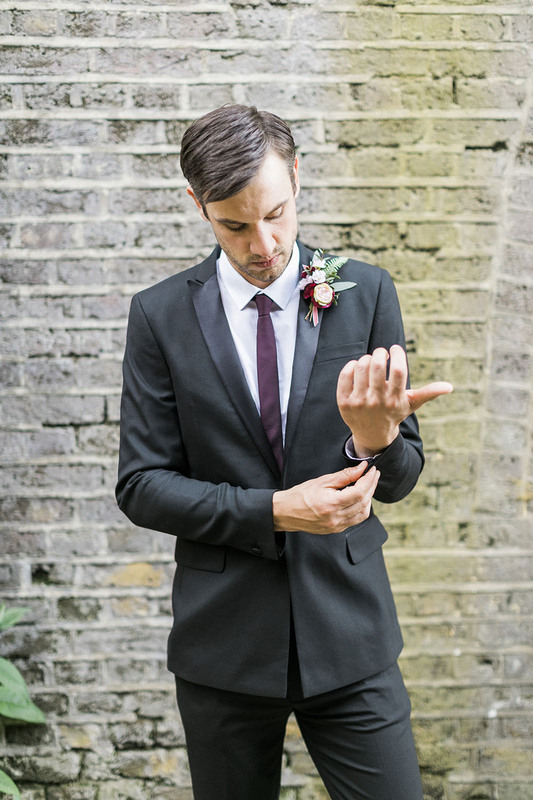 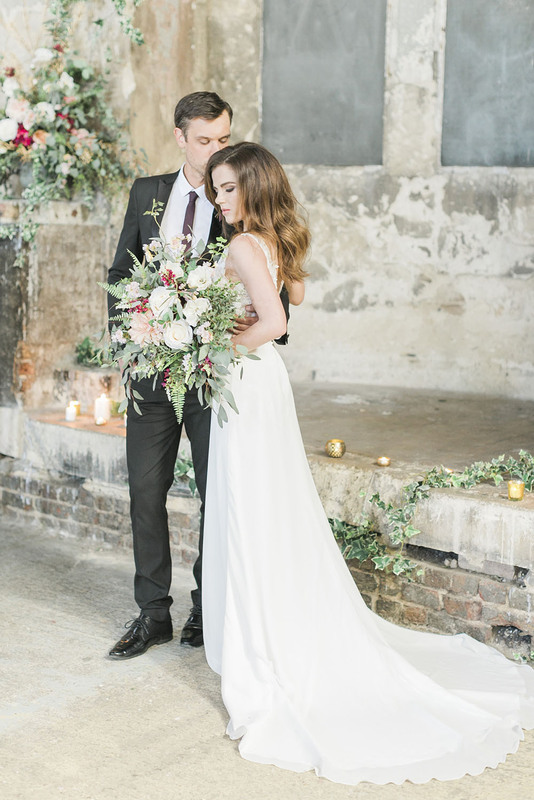 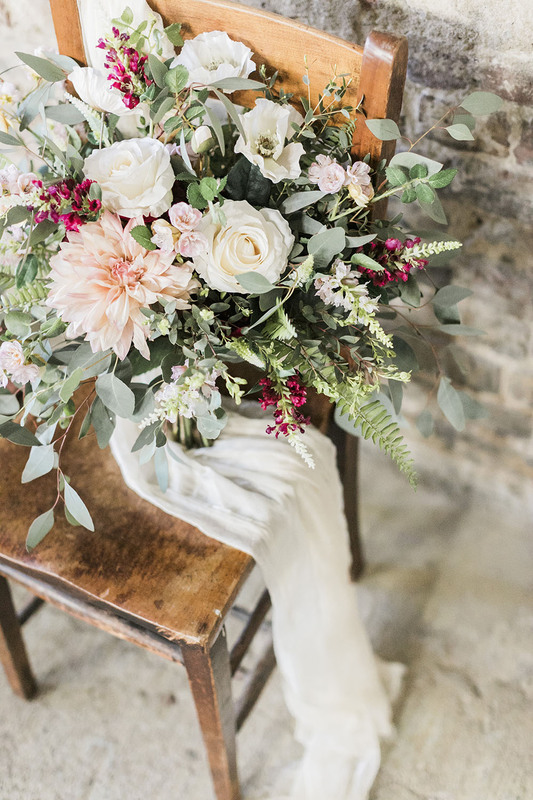 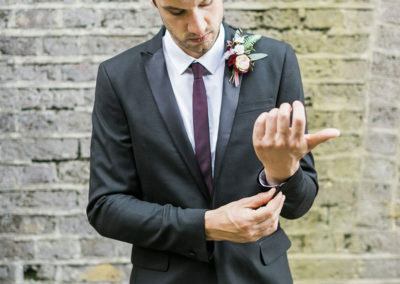 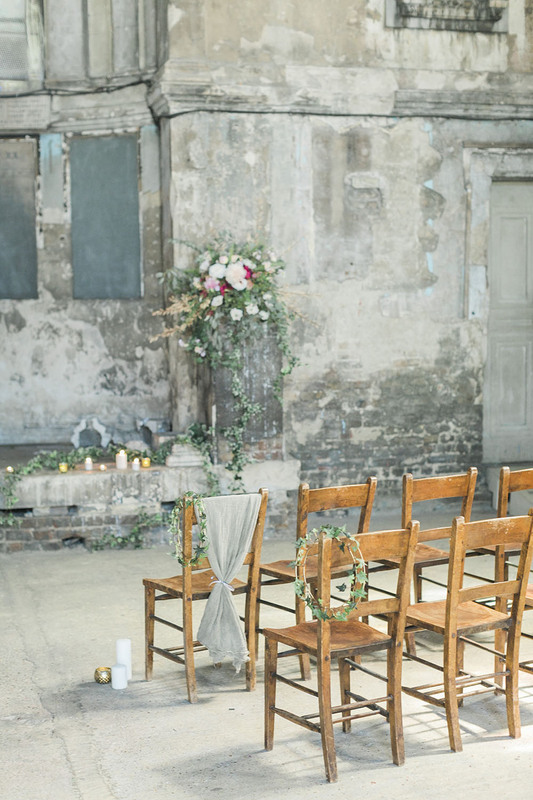 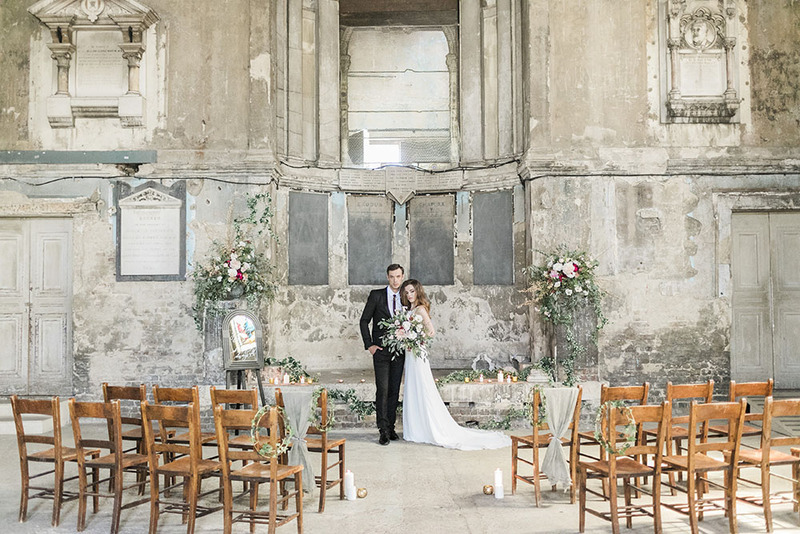 There were two venues for this shoot, the ceremony shots were at Asylum Chapel and the reception images taken at AMP Studios, both of which are located in London. 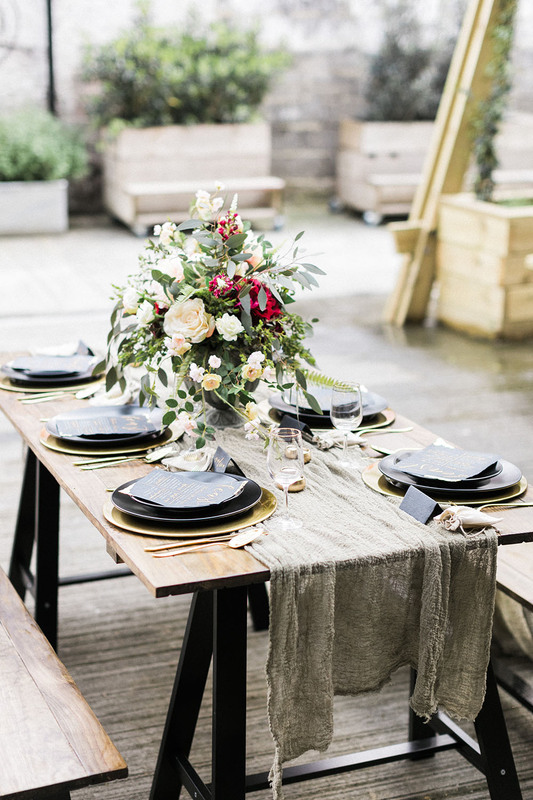 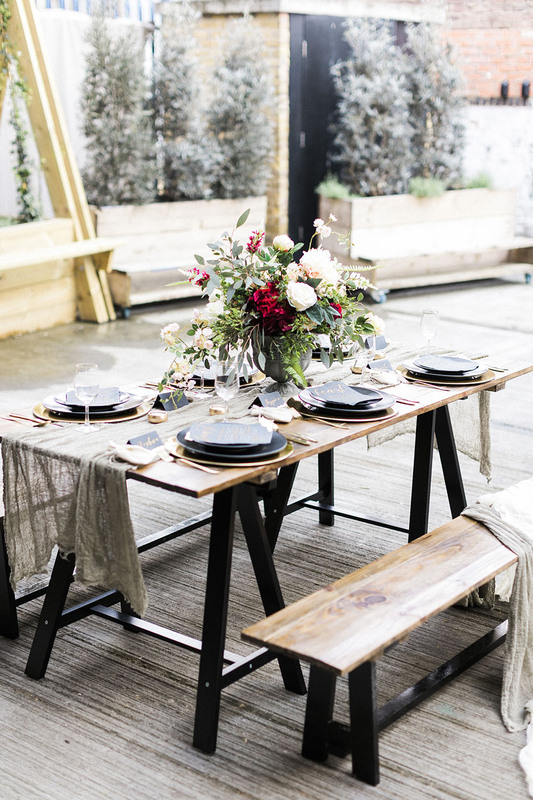 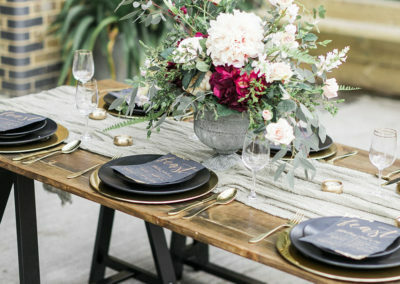 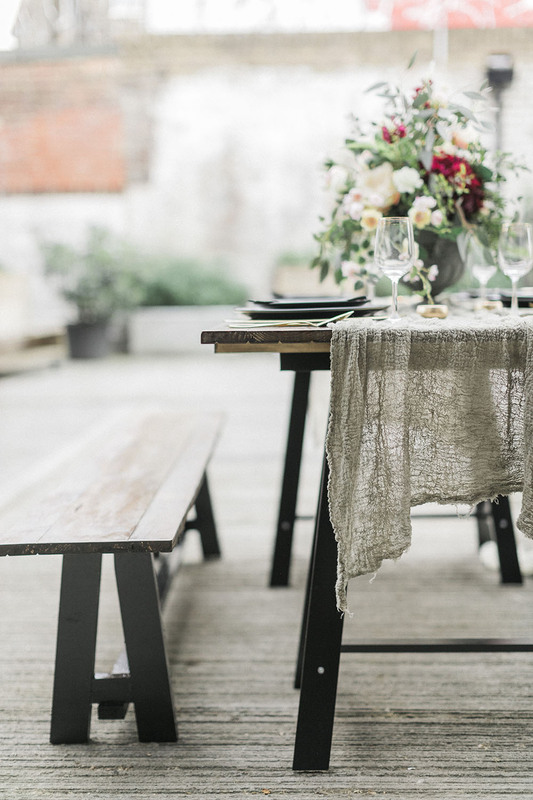 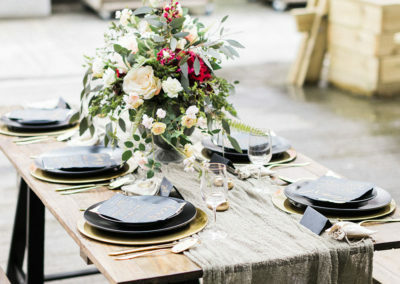 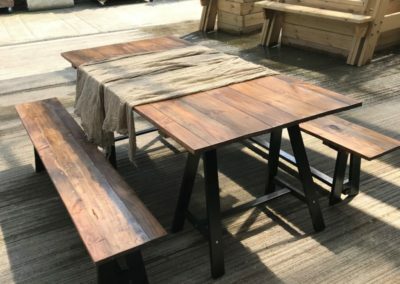 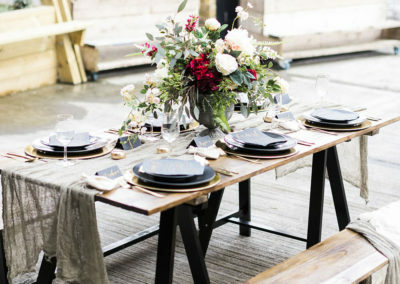 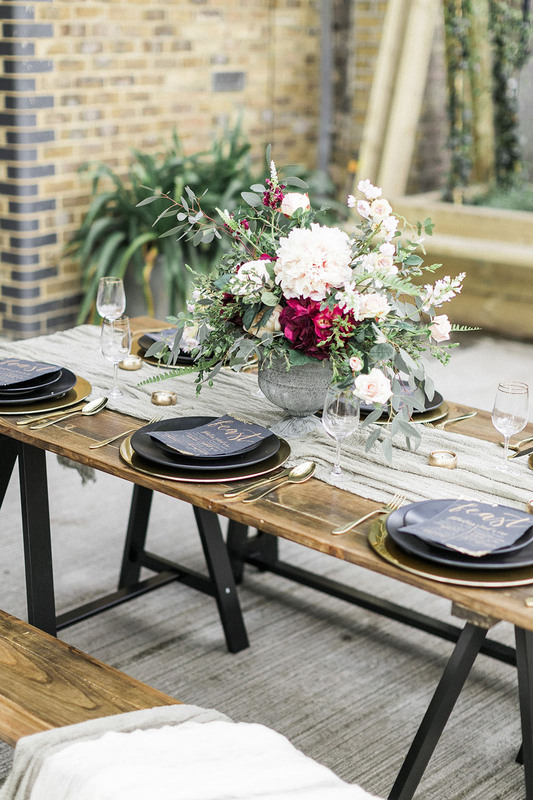 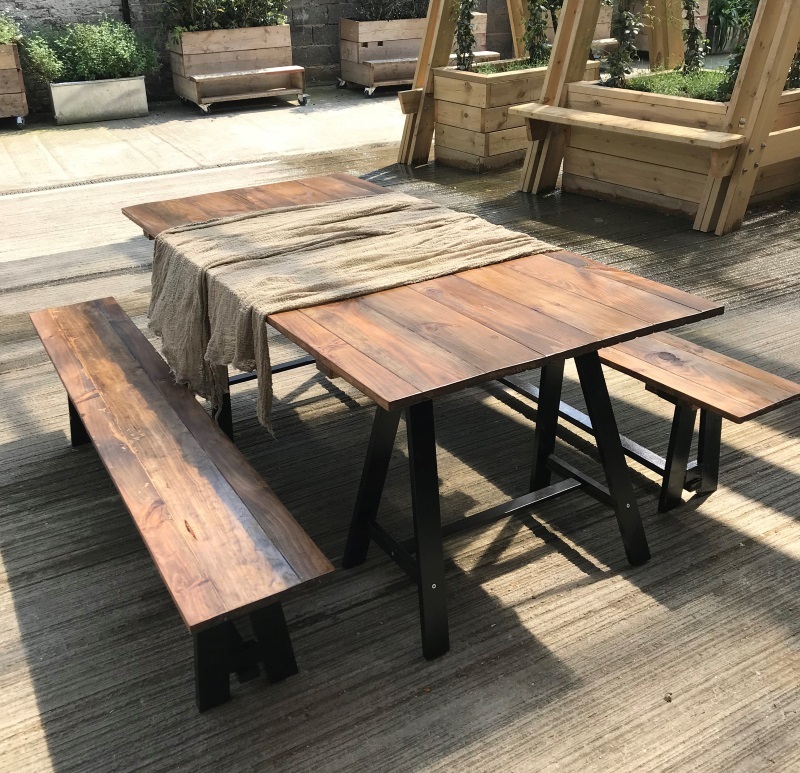 Wild Wedding Company’s naked wooden trestle table and benches provided a beautiful, rich canvas to style the tablescape, pairing rustic with modern effortlessly. 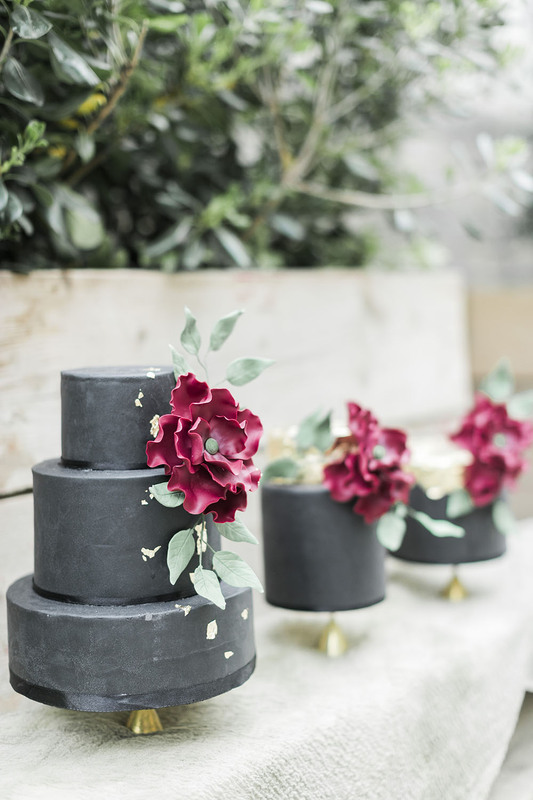 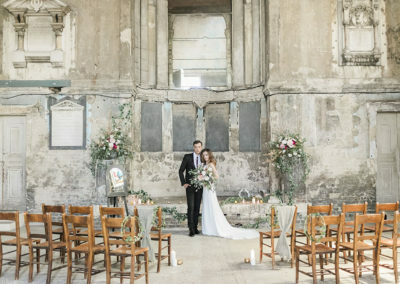 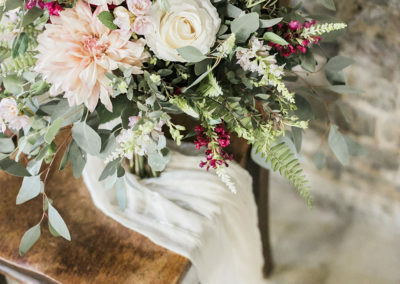 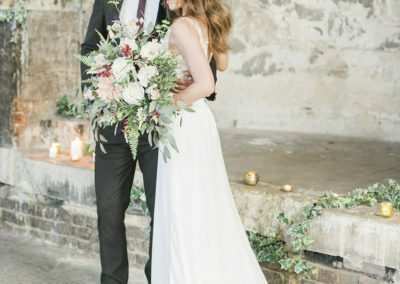 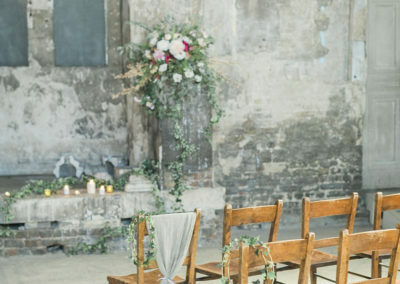 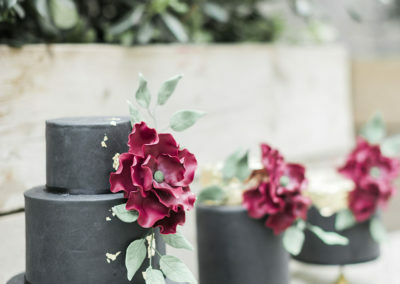 When developing the concept of ‘modern rustic’, Stone and Co Events’ inspiration was drawn from wooden features, organic textures, metallic accents and matte finishes which combined, were the primary features of this airy and ethereal shoot at the naturally beautiful settings of the Asylum Chapel and AMP Studios located in South London. 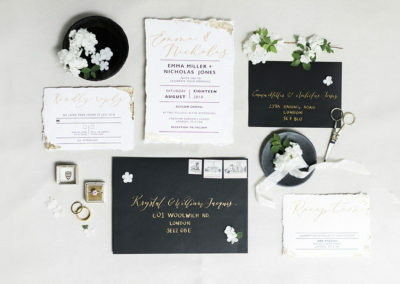 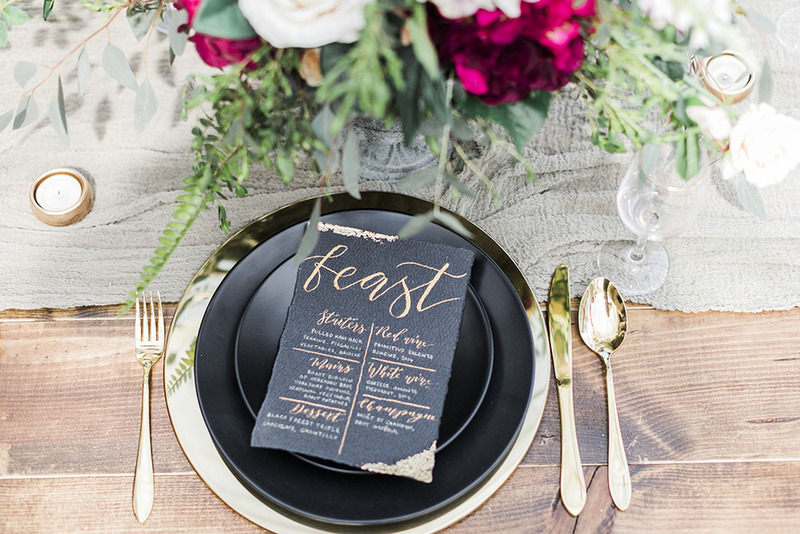 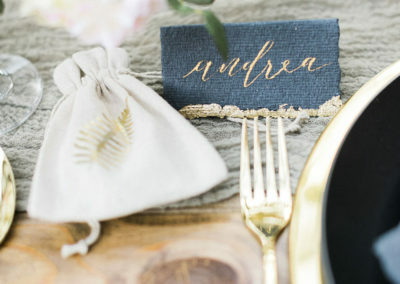 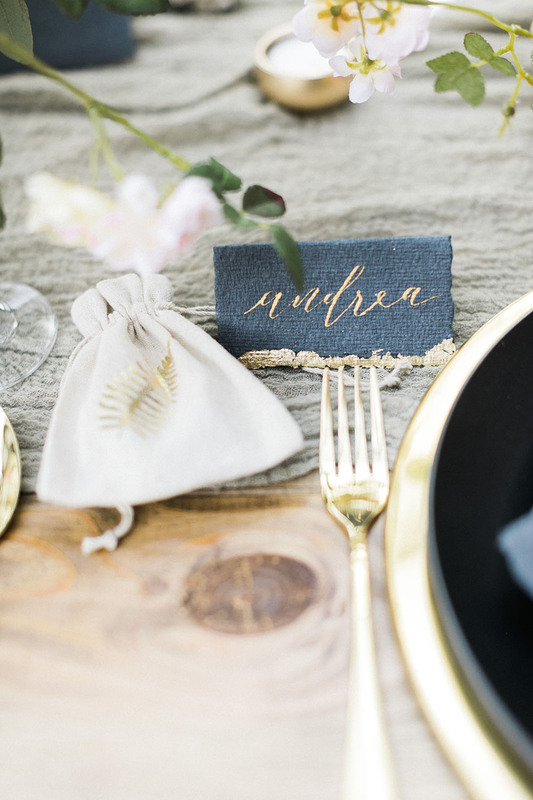 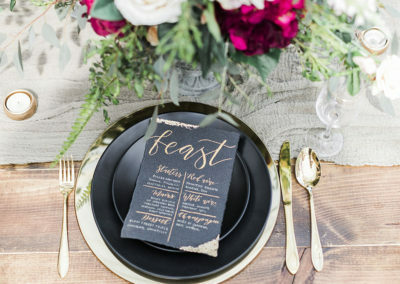 The modern tablescape, was achieved by pairing matte black plates with gold chargers and flatware, and was complemented beautifully by the black cotton rag and gold leaf stationery by Scritto. 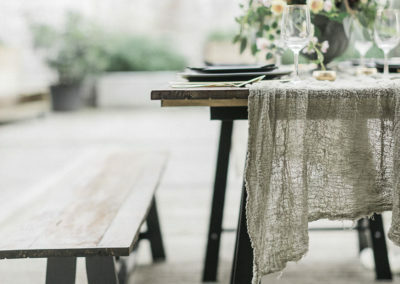 The sage green, hand-dyed muslin linens by Unity Styling added some softness and texture to the rich wooden trestle table and benches.